Typically Zack and I eat cereal every day of the which can get redundant and quite boring. To change things up every now and then we will have pancakes or French Toast, but what I really love is a goof muffin. They are portable, delicious, and fast! They also freeze really well and can be popped in the microwave directly from the freezer for a warm treat. 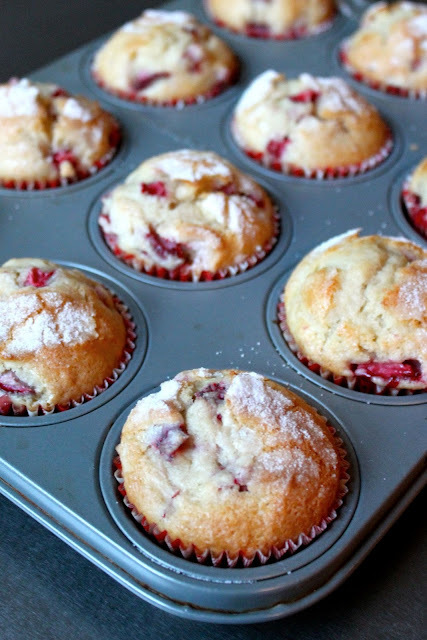 I decided to make strawberry muffins because the strawberries have been fantastic lately. I must say, the fruit in general has bene much tastier here in Georgia than it was back in Virginia. 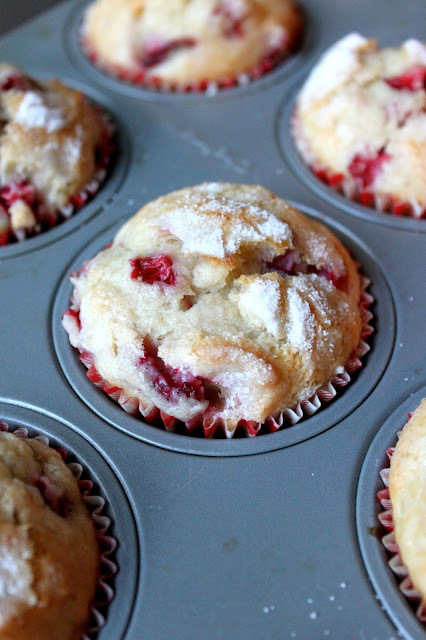 The last time I made strawberry muffins was in high school home economics. I must have really enjoyed them to still remember them after all these years. These muffins turned out great. I brought them to work and people devoured them!